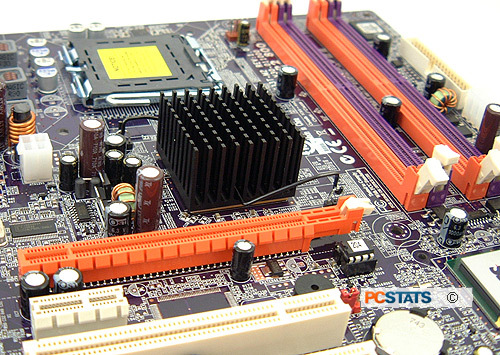 You can install a PCI Express x16 videocard into the orange slot in the middle of the ECS G33T-M2 motherboard. Under it is a PCI Express x1 slot then two 32 bit PCI slots for legacy devices. There's a small speaker above the first PCI slot which will sound if something is wrong with the system. 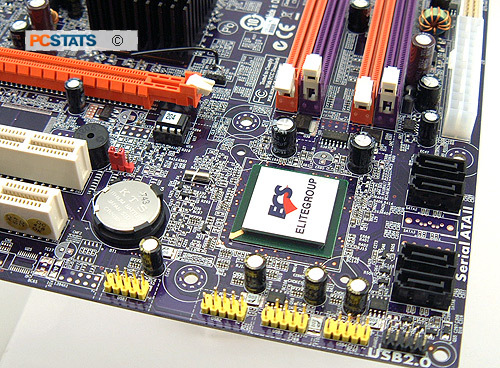 There are four Serial ATA II ports and four USB 2.0 headers at the bottom right hand of the ECS G33T-M2 motherboard. All are placed near the edge of the PCB which helps keep cables clean... alas no USB brackets are supplied with the board. 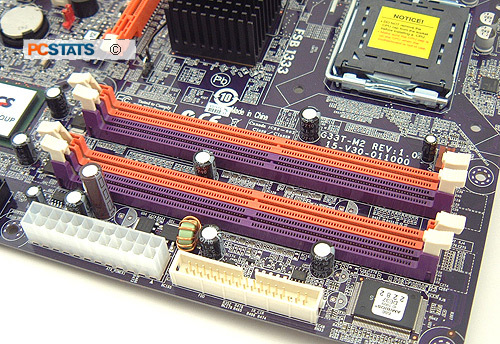 The Clear CMOS jumper is easy to spot as it's the only red jumper on the motherboard. The main ATX power connector and floppy are located to the right of the DDR2 memory slots. You'll want to insert your DDR2 memory in alternating slots to enable dual channel memory mode, the bandwidth gained is worth going for. 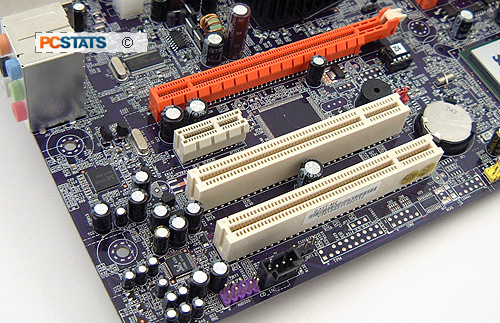 There's plenty of space around the LGA775 CPU socket and you can pretty much install anything on the ECS G33T-M2 motherboard. Considering the G33T-M2's intended market and overclocking abilities though, overclocking should be the farthest thing from your mind. 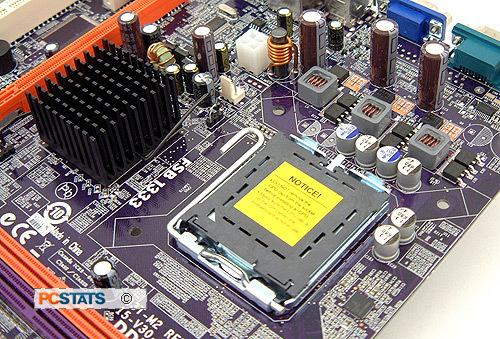 The Intel G33 Express chipset generates a moderate amount of heat which is why ECS can get away with a medium sized aluminum heatsink on the G33 Express Northbridge. It's designed to be cooled with the air from the heatsink, so if you use a passive heatsink, you'll need to blow a fan in the direction of the Northbridge.